Cradled in the majestic Himalayas, Uttarakhand is often known as Devbhumi or the Land of the Gods. The Ganga flows most of its initial course through it and each year, religious pilgrims flock to its many destinations by the thousands, and leave feeling enriched, for not only is this land rich in spiritual experiences but also has much scenic natural beauty to offer, with the topography comprising of mountains, valleys and lakes. An exploration of the Indian culture would be incomplete without a visit to Uttarakhand. Haridwar derives its name from the fact that it is considered to be the beginning of the pilgrimage to the Abode of the Gods. A charming religious town that has grown around the banks of the river Ganga, Haridwar is also one of the four places where the globally famous Kumbh Mela takes places every three years. The main ghat is known as Har Ki Pauri or the footsteps of the Gods and is said to have imprints of Lord Shiva feet. Situated with the Shivalak range on one side and the Ganga and its tributaries on the other, Haridwar is a spectacle of the power of faith. Besides this, Haridwar is also the seat for a few surviving ancient educational institutions. Rajaji National Park is also found within the district area. Every season, over 70,000 visitors flock to the oldest national park in India, built to preserve our national animal, the Bengal tiger in 1936. Named after writer and wildlife enthusiast Jim Corbett, this ecological experience stretches over 520 square kilometres and is home to 110 species of trees, 50 species of mammals, 580 species of birds and 25 species of reptiles. An interesting feature of the Park is the dense forest cover covered with 488 species of deciduous vegetation that covers about 80% land area. Wildlife species include more than 586 species birds, including the red jungle fowl, the crested serpent eagle and blossom-headed parakeet. The dense cover serves as an ideal hunting spot for various carnivores such as the Bengal tiger, leopard, jungle cat etc. Herbivores such as barking deer, chital, sloth, Himalayan black bears, otters, Himalayan goral and Indian pangolins can also be found. Other than this, seven species of amphibians and seven species of fish have also been reported. Hindu mythology sets much store by the idea of long pilgrimages to the Himalayas, as a way to achieve enlightenment. Badrinath Temple is one of these pilgrimage destinations, also known as one of the Char Dhams. Said to be the area where Vishnu practiced meditation protected from the bitter cold by Lakshmi in the form of a Badri tree, this temple has cravings that tell us of various legends and symbols attached to Vishnu, such as Lakshmi, Durga, Garuda etc. The biggest festival celebrated here is the Mata Murti ka Mela, to celebrate the division of the Ganga into twelve tributaries, which is said to have happened here. Situated by the banks of the river Alaknanda, the Badrinath Temple is a symbol of the constant struggle of human beings for knowledge and enlightenment. Dedicated to Lord Shiva, and one of the Char Dhams, the Kedarnath Temple is, located high up the Himalayas, amongst harsh winter conditions. This is also one of the twelve jyotirlingas which are said to be the holiest of places dedicated to Shiva, and is said to have appeared there to the Pandavas during their final pilgrimage to absolve themselves of their sins. Although not easily accessible, the Kedarnath Temple is said to be one of the most powerfully spiritual locations in India. Amazingly, the temple came into significance in recent times when the flash floods of 2013 wreaked havoc upon everything around the temple but the temple itself remained unharmed. Many claimed that God himself was protecting his abode. A quaint mountain town, set inside a valley and surrounding a lake, Nainital is the perfect holiday destination for someone looking for just the right amount of quiet and hustle. 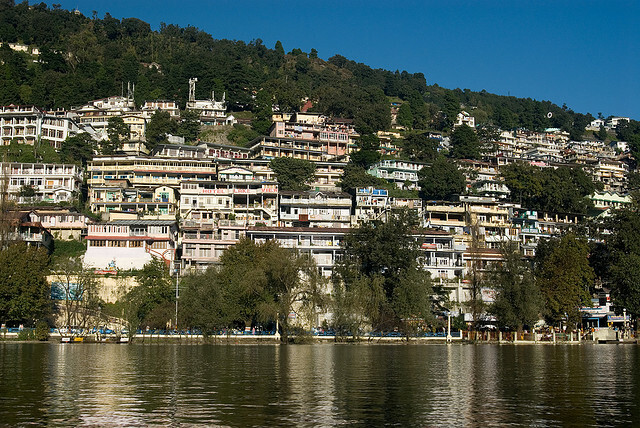 With hills on one side and water on the other, Nainital has the perfect natural balance to offer. There is a mall road with quiet cafes and bustling roads and many relics of colonial times, not the least of which are the renowned schools present there. Nainital also happens to be a bookreaders heaven. Many old libraries are located here, with uncountable volumes on history and philosophy, including the Durga Lal Shah Municipal Public Library which was founded in 1934. Uttarakhand is a small, almost forgotten state of hills and water bodies, which many stories beneath each majestic mountain and around each scenic lake. A land of the pure, Uttarakhand is not only a great holiday location but also a spiritual release on its own.